Highways England has unveiled plans that will allow drivers to travel at increased speed through motorway roadworks, depending on what day of the week they are travelling. During roadworks narrow lanes are installed to provide a safe working environment for the workforce, which means that as many lanes as possible can remain open to traffic. Following earlier trials to increase the speed limit through roadworks from 50mph to 55mph or even 60mph, Highways England plans to test if varying speed limits could be safely operated within a set of roadworks without increasing the risks to roadworkers or drivers. Locations for the trials are yet to be agreed. Once they are underway Highways England will monitor the speed of vehicles, flow of traffic, examine incident data and gather customer feedback to determine the success of the trials. CECA Director of External Affairs Marie-Claude Hemming said: “CECA recognises that roadworks can cause delays and be frustrating for drivers, and we welcome Highways England’s willingness to explore innovative methods of reducing congestion on the motorway network. “At the same time, any reforms to how roadworks are managed must be undertaken with the safety of drivers and roadworkers as a priority. Full details of the trials are set out in Highways England’s Delivery Plan Update for 2018/19. 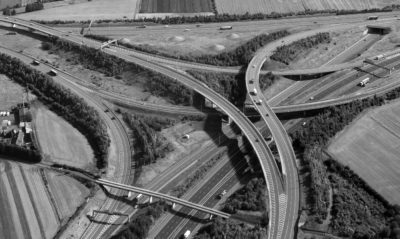 The Plan also sets out how Highways England is continuing to deliver the Government’s £15 billion Road Investment Strategy (2015-2020).